A lot of companies today are viewing business exhibitions as a key component of their marketing strategy, and for good reason! But why has exhibiting become so popular and what are the benefits you’re missing out on? Exhibiting your business is a great way to showcase what it has to offer. If you have a solid display stand, an outstanding and faultless pitch, and high quality promotional materials – then you and your business will certainly reap the benefits. In today’s modern society, business typically functions through email marketing and tele-based sales on a daily basis. The great thing about hosting your business at exhibitions and open days is having the opportunity to have face-to-face contact with relevant business owners and potential clients; it makes a refreshing change in a world that’s so technologically obsessed. Exhibiting is all about networking; it’s not what you know, it’s often who you know – and attending exhibitions is a great way to meet people. It allows you to build contacts and relationships with people within your market and niche. These kind of events often result in partnerships and new clients, which is why exhibiting is often more successful than forking out for expensive advertising campaigns on billboards and in newspapers. But what makes a good exhibition stand? When it comes to planning your exhibition stand, you first need to decide on a brief, a budget, and your targets – what is it you want to achieve? Make sure everyone working at your exhibition knows the business inside out, and why they’re there and what the goals are i.e. to generate new leads and meet potential clients. When choosing your space, consider your budget, audience, and then maximise its potential – having a large exhibition doesn’t necessarily mean it will be a successful one; size isn’t everything. Using a good quality stand, using graphics that won’t blend in with the rest, and enhancing your product and services display using top notch lighting techniques is key to standing out in a busy crowd. A good exhibition stand should be attention-grabbing and unique to the business. At GGS, our extensive knowledge and experience means we’re able to design and build stands that effectively increase client profile even in the smallest stand spaces. Our stands have won ‘best stand awards’ and always deliver maximum results for you and your business. 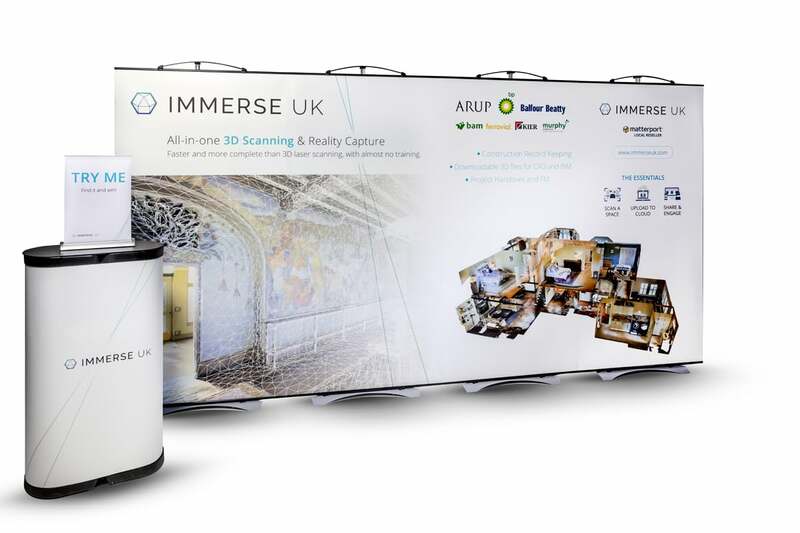 Whether it’s banner stands, or a multi-link pop-up system, we have an impressive range of portable equipment that’s perfect for open days, conferences, and exhibitions of all types. 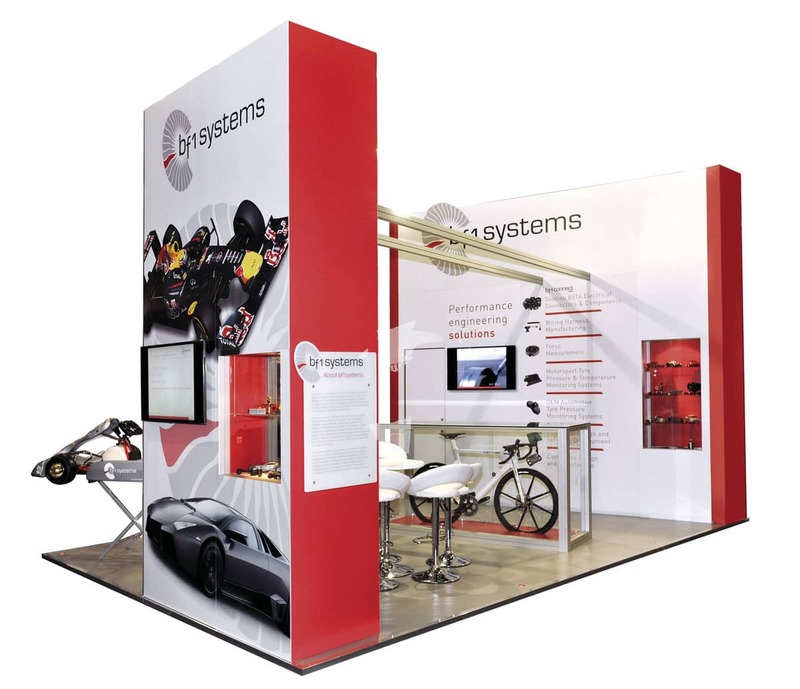 So if you need assistance in designing and manufacturing a fantastic exhibition stand, contact [email protected], or if you’re searching for inspiration, take a look at our exhibition gallery.